Engineering companies come to us when they need thick steel plates for critical projects. Typically they need something out of the ordinary. This can be very thick steel plates, plates to a very high specification or tolerance or large quantities of steel delivered quickly from stock. We have one of the largest stocks of thick steel plates in Western Europe with a total stock of 40,000 metric tonnes available. 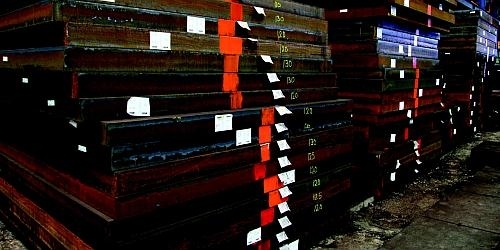 Whilst there are many steel stockholders there are relatively few who keep much heavy plate stock above 100 mm. We aim to be able to supply most thick steel plate positions that a customer could require from stock completely from our own warehouse. This is a delicate balancing act as given the 20 metric tonne weight of most plates many plates could be ordered directly from the mill. What we offer is the convenience of being able to win a project and immediately start work without having to extend project deadlines for 3+ months whilst the steel is rolled and delivered. Delivery to most Asian ports in 30 – 40 days. We understand that not every company or industry requires thick steel plates. Many of our customers only order a few times a year. Some customers require thick steel plates once every few years and other never at all. That’s OK. We understand that so much of companies work is project based and unpredictable. What is important is that you know that we are here with the stock of plates that you need when you need it. Oakley Steel is the agent in SE Asia for AncoferWaldram, one of the largest heavy plate stockholders in Europe and part of Dillinger Hutte. If you need plates to be delivered to a region other than SE Asia do send us your enquiry and we will put you in contact with the most appropriate part of the Dillinger team.